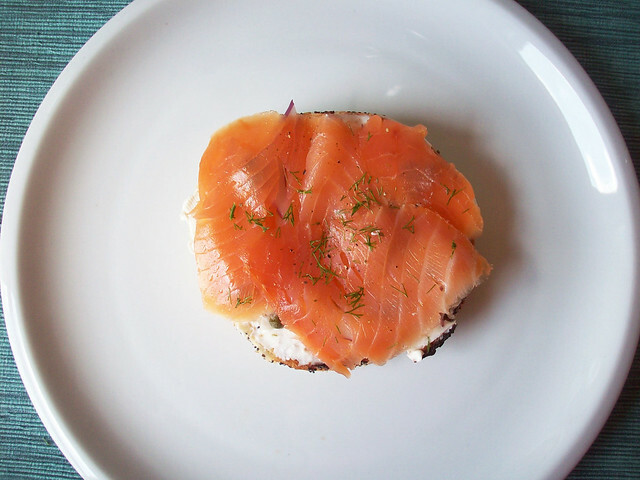 I am a huge salmon lover and huge lover of easy, cold meals when the heat index is 115 degrees outside so a Gravlax bagel is the perfect easy summer snack or meal. 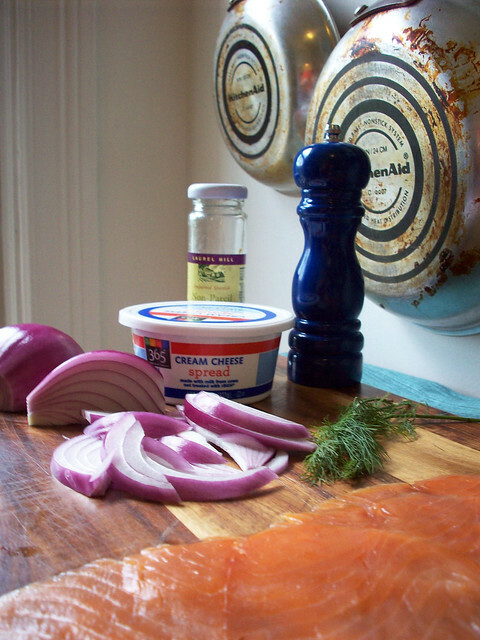 Add capers, red onion, and dill and perfection. I also have been working on my food photography so excuse the bajillion pictures of such a simple meal. 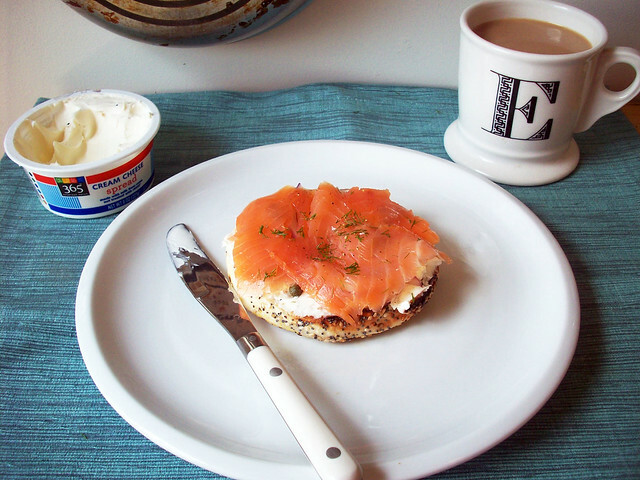 Spread cream cheese on bagels. 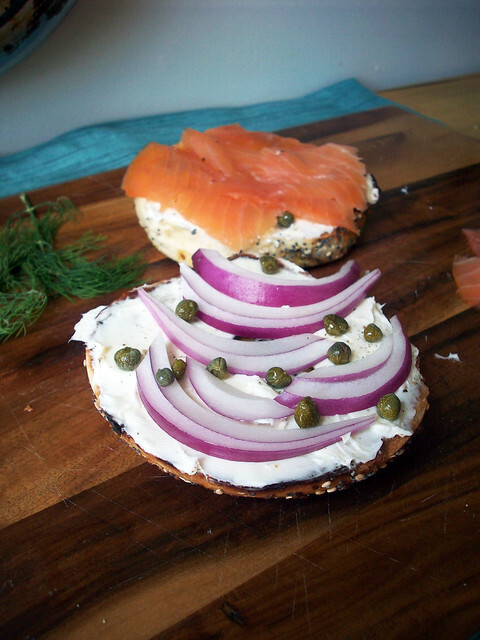 Layer capers and sliced onions on bagels. 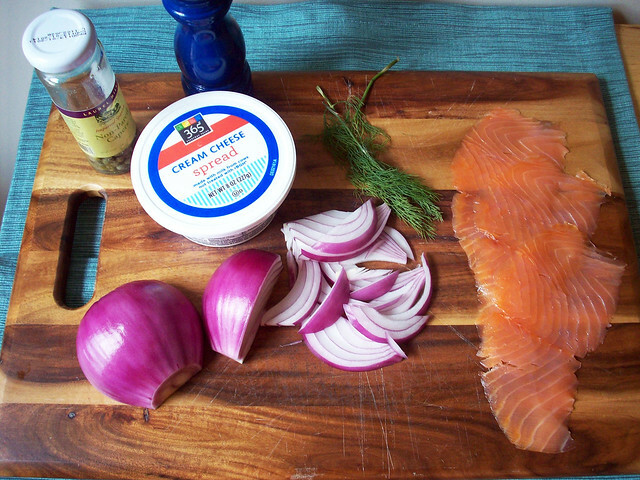 Sprinkle dill on salmon and salt/ pepper as needed. Enjoy! I know this isn't a ground breaking recipe, but definitely a super delicious one especially when it is hot outside. What are your favorite meals when the mercury rises? What are your favorite meals when you have about 0 time to cook? This is one of my favorite things ever!! Last night, Josh and I made a cold chicken salad with tomatoes, corn, avocado, olive oil, and lime juice inside pita and it was a great summer dinner! Yum!! 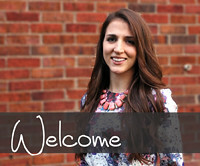 i just make big, easy salads for hot nights with little time...or quesadillas! Agree with Lonely Wife, fantastic images. 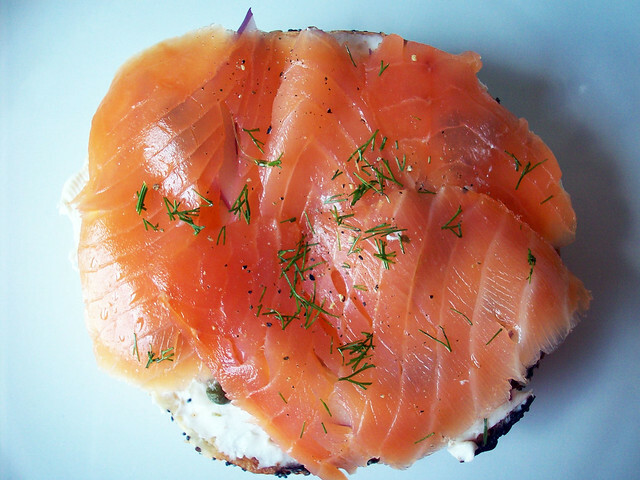 I love bagel w/lox, especially with the capers, delish! You make red onion look like art. Yum Yum! The first picture is AMAZING. I thought it was a professional photo!! Wow. Taking food pictures is hard. I love, love, love salmon and capers too. 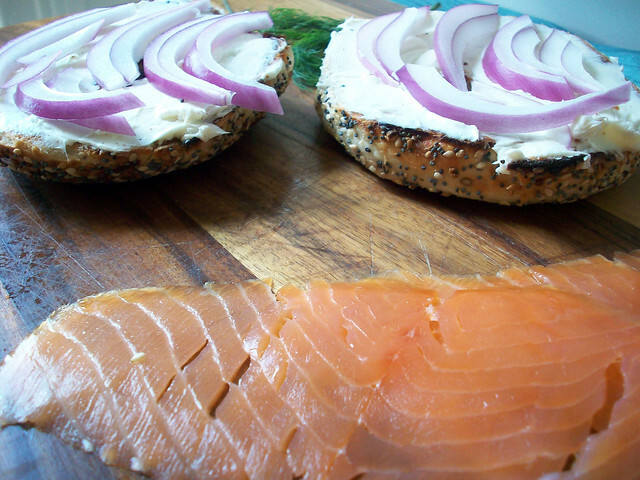 Oh, and bagels. Basically, this is my perfect meal. 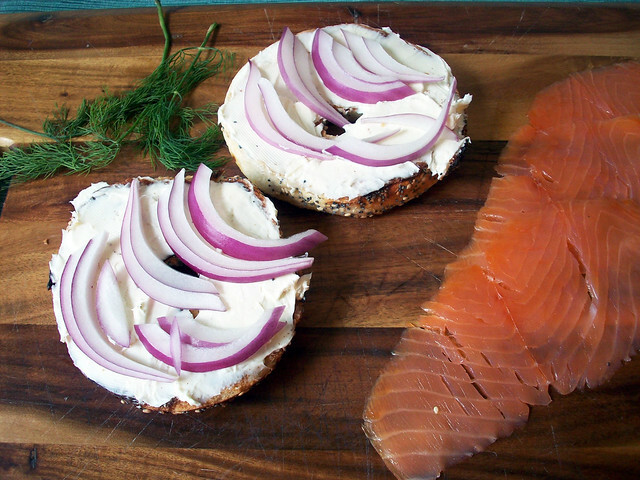 I can only assume you live somewhere on the east coast to be enjoying lox and a bagel. Mmm... This is my husband's dream breakfast. He'll have it any and every day of the week.